This hole offers the most generous fairway on the course. 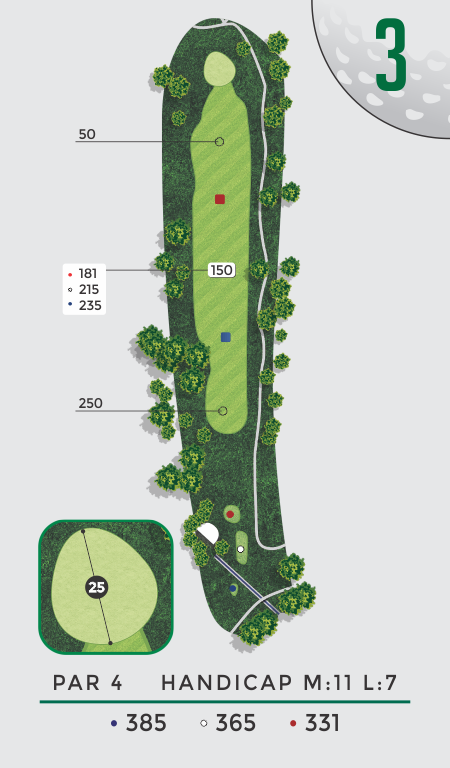 A well-struck tee ball should leave a short iron into a seemingly flat green. This hole generally yields a lot of birdies.